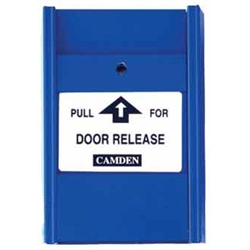 The CM-703 from Camden is a pull station that’s designed to fit into a single gang box and protrude only 3/4” from the wall. 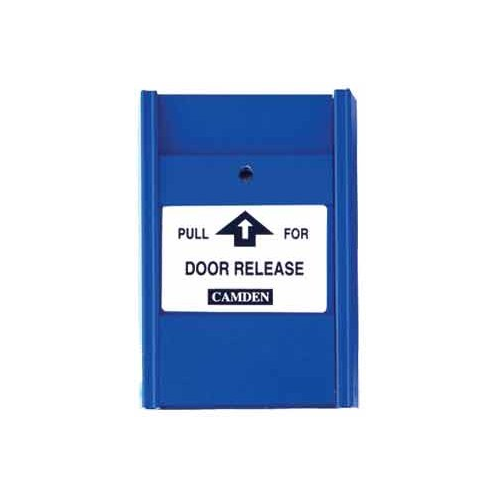 It can be used for door release applications with a magnetic lock and on emergency exit doors. Not rated for fire alarm applications. When used, it can easily be reset with a small screwdriver. Comes in blue.